Is constantly reliving the day of your murder until you’ve uncovered who it is that wants to kill you so you can move on with your life the scariest thing you can imagine? That’s the premise of “Happy Death Day,” and the movie manages to have fun with its plot while simultaneously delivering some solid scares. Written by Scott Lobdell, who’s worked extensively with various X-Men productions, “Happy Death Day” is strong, high-quality horror comedy that manages to stay away from self-seriousness and bad writing. Though the movie is mostly strong, the ending is a bit of letdown. With all of its twist and turns, the final twist is just one too many. Lobdell’s script is full of laughs and possesses an interesting story all while maneuvering through cliché with ease, but his final decisions cause him to stumble into exhausted territory. Had the creators kept the ending subtle and little more ambiguous as opposed to completely planned, whack-a-mole-style surprises, I think it would’ve had an emotionally stronger impact. Luckily, the rest of the movie is so enjoyable that it’s an easily forgiven mistake. The movie looks and sounds so great that you can just choose to focus on those elements instead and have a really good time. Director Christopher Landon and Director of Photography Toby Oliver are a great team in delivering a crisp, visually-appealing film the whole way through. In a movie where the sets don’t change much, the visuals are always interesting. As Tree relives her days, the transitions from death to life get more and more creative and become one of the coolest aspects of the film. In terms of scares, “Happy Death Day” ranks fairly low. I laughed more than I cringed, but the movie isn’t devoid of terror. The film builds tension throughout as the audience progresses with Tree in trying to figure out who’s after her. This progression and tension-building is majorly pushed forward by the film’s music. Bear McCreary, a well-seasoned movie and television composer, arranged the score for “Happy Death Day,” and his experience is on full display. McCreary’s musical prowess is an essential piece of why “Happy Death Day” works. The great music coupled with the repeated-yet-refreshing images and a knockout lead performance all make for a really enjoyable time in the theater. 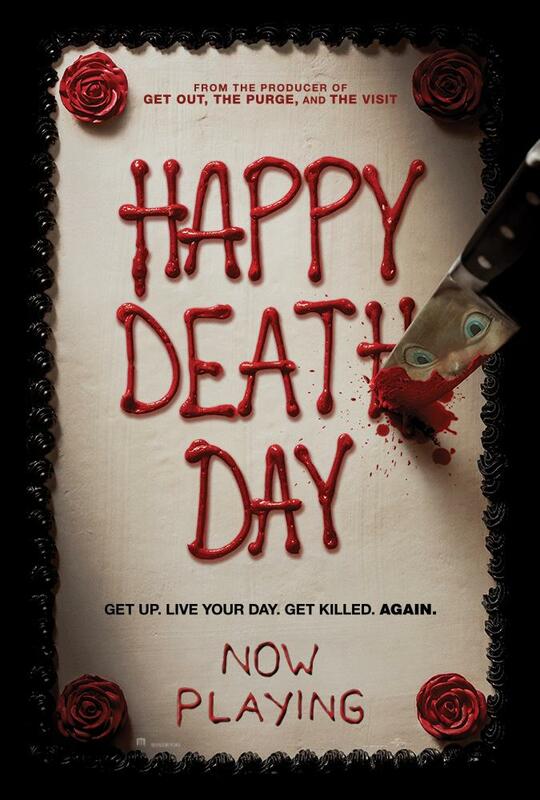 You can’t go wrong with “Happy Death Day.” It’s more enjoyable than cliché and has some truly funny moments. This is definitely one of the strongest horror comedies I’ve ever seen (a genre notorious for low-quality content). Just don’t expect to get your pants scared off.